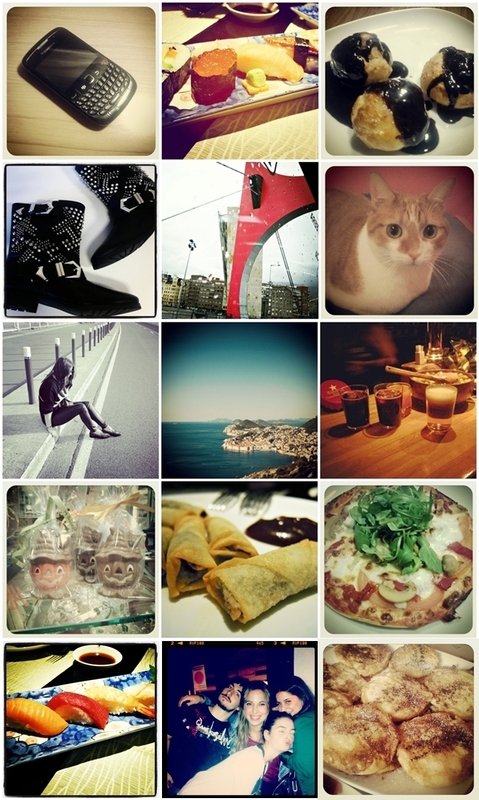 Time for another snapshots post, but this time with the great Instagram, I just love it, and oh! don't forget to follow me at: @fsnapshots. Cool pics. The food looks delicious :-). Hi Zoe, so sorry to hear you're not feeling well...hope you get better soon! Your cat so so adorable, whats his name? Awesome studded boots and all the foodie pics look so delish! Your week looks like so much fun and mannnn those food snaps looking amazing! i really don't know when i saw such a beautiful blog theme for the last time. It seems like instagram is everywhere and I'm the only who doesn't have a phone that supports this app, my phone is so damn old xD ahah Have a great week zoe!! !